loose the chains of injustice and untie the cords of the yoke, to set the oppressed free and break every yoke. 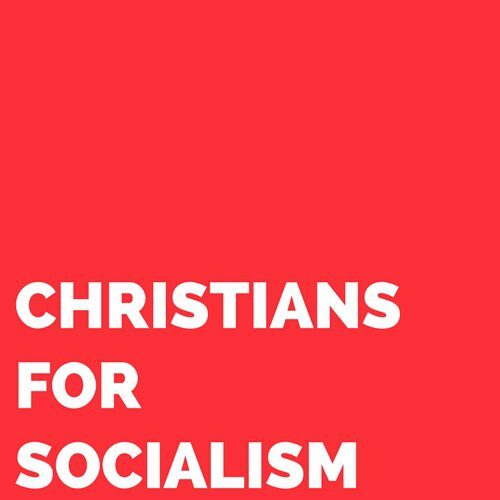 As a Christian socialist organization, Christians for Socialism (CfS) stands on the side of all workers and for the abolition of prisons, therefore supporting the prisoners’ right to strike. We stand in solidarity with those participating in the upcoming national Prison Strike, beginning August 21st. The US prison system reeks of imperialist, capitalist, and white supremacist corruption, as it preys on the working class, namely black and brown communities, to create cheap and free labor for both industries and the US government, including its military. With about 2.3 million people incarcerated in federal prisons, juvenile correctional facilities, and local jails, it is undeniable that this system is outrageous and needs to go. CfS recognizes that this strike will not abolish the US prison system in itself but that it could drastically alleviate the suffering of those in prison and combat the system of mass incarceration. We agree with the demand that all prisoners be treated with the humanity that is due to them. We echo James, the brother of Jesus, who wrote, “The wages you failed to pay the workers who mowed your fields are crying out against you.” (James 5:4) We hear these cries and demand that any underpaid or free labor be stopped and that the appropriate wages be paid to any working prisoner. It is within the Christian tradition to remember the prisoner—and we don’t just remember them, but we demand that they be given the freedom and liberty they deserve. Add your name to the statement of solidarity! Recently in Philadelphia, some of our friends in the Friendly Fire Collective were arrested and/or assaulted by local police while calling for the abolition of the US Immigration and Customs Enforcement (ICE). They and others have sustained injuries that require medical attention, which means medical bills, and these confrontations can also mean legal bills. These comrades have put themselves at risk, both physically and financially, to defend vulnerable people, people who bear the image God, against an oppressive state. Though not all of us can be present in Philadelphia or at occupying events around the United States, we can all contribute something, however small, in solidarity with our siblings. We suggest donating via venmo to @bird-poet, at the recommendation of a comrade in the Friendly Fire Collective, to contribute to bills and the ongoing needs of the occupation. People across the US are organizing to oppose both the existence of ICE and the maintenance of its detention centers. Moving beyond the demand to “keep families together,” a liberal slogan sparked by images of children detained separately from their families, leftists are demanding the abolition of ICE altogether. Created in 2003 by the Bush Administration, ICE is a violent arm of the police state designed to criminalize and further marginalize vulnerable people who are coming into or already live in the United States, often fleeing situations that have been created by the interests of US imperialism. Anti-ICE organizing efforts take various forms, but one of the most significant and dangerous is the “Occupy ICE” action taken across the country, where our Philadelphia comrades were assaulted. Another way to support these efforts is to enable those who have the courage, inspiration, and spiritual discipline to show up through our finances, prayer, and other talents. Read more about the Friendly Fire Collective, the occupation, and their participation in Philadelphia at their website here and here. The Poor People’s Campaign (PPC) has reintroduced important topics of poverty and systemic oppression into a mainstream Christian dialogue. Their call for a “Moral Awakening” in the United States is a call to mobilize all Americans, but especially faith leaders and activists to create a Christian Left that challenges the conservative Christian hegemony. To do this, the PPC seeks to work with marginalized people, of the Christian faith and not, to improve the material conditions of the dispossessed. While the goals, objectives, and members of the PPC are well intentioned, there are several important flaws that limit the PPC from meeting its objectives. Members of the Friendly Fire Collective and Christians for Socialism feel that, as leftist Christians, we have a perspective that could help correct some of the tendencies in the PPC, which is currently in the midst of 40 Days of Action. As we follow the movement, read the news, and talk with friends, we feel led to offer a critical and affirming perspective as Christian leftists in America. Though Rev. William Barber’s characterization of the organizing group of the PPC as a “moral center” and specifically not a “religious left” might seem rhetorically savvy, we think significant change will not come from a center, which will not be respected by the powers, but from a willingness to identify with leftist political projects. The members that author this document do so not in a spirit of condemnation, but rather as a critique in hopes that a true Christian Left can emerge to challenge capitalism, racism, heterosexism, and societal oppression at large. One of the most important strategic items for the campaign is the arrests that occur every Monday at state capitals. These arrests take place in order to maintain media attention and to galvanize the base of activists. They function as a major cohesive item that links local groups of the PPC to each other across the country. Indeed, to those who are used to seeing police as agents of social good, it is challenging optics to see leaders of faith communities in full religious regalia being arrested in protest of moral injustices. The arrests certainly hearken back to campaigns of nonviolent civil disobedience, but they also demonstrate one of the greatest points of concern for this campaign. The pageantry of these weekly arrests diminish the potential of real violence that can occur to marginalized lay members of the PPC during the action. While faith leaders in religious garb are possibly more protected from police violence during these arrests, lay members of the PPC are much more vulnerable to traumatic encounters with police. Even if traumatic moments do not occur with these arrests, it is very possible for folks to be re-traumatized by these encounters. These weekly actions can act as a deterrent from lay participation into the broader movement. As principle nine of the PPC states: “The movement is not from above but from below.” Yet in these weekly arrestable actions we see a sharp line of faith leaders and lay members being formed. Faith leaders, even while being arrested, are more protected by the state due to how their position in society often commends greater respect from state actors, while lay members have to fear violent encounters with the police.The media attention generated from these arrests therefore uses these moments of trauma to galvanize the movement at the expense of those undergoing these arrests. It is true that the spectacle of arrests may draw the attention of the media to the movement. However, this publicity sacrifices the mental health of marginalized peoples for the purpose of appealing to the conscience of the populace. But, as Kwame Ture (formerly known as Stokely Carmichael) reminds us, “the United States has none.” How could the objectification of black and brown bodies to the carceral system for the sake of the media make a difference within a context where this is already normalized? Rev. Blackmon was absolutely right to say American senators worship capitalism. We would add that this reflects a deeper idolatry at the heart of American politics. In the United States, both major parties and all congressional independents are presently capitalists. The Republicans are the most obvious offenders, but they are not the only ones who cloak their greed in religious language. Capitalists have willing support from the Democrats, who regularly go out of their way to remind people that they, too, are a party of capitalism, even if they want the system to be more compassionate. Yet it is not enough to try to tame capitalism, or to take it down a notch. Capitalism is an idol that must be dismantled entirely. Perhaps this is why Rev. Dr. King spoke positively about socialism and had close relationships with socialists and communists. In a 1966 planning meeting for the Poor People’s Campaign, he said, “There must be a better distribution of wealth, and maybe America must move toward a democratic socialism.” Though there are many varieties of and paths to socialism, socialism names the dream of a world where the production of goods necessary for human survival and human flourishing is controlled not by the whims and investments of private individuals, but by the people themselves. To have a Poor People’s Campaign without the horizon of socialism may go a long way in creating compassion for the poor, and that would be far better than the brutality we have now. But it will not end the economic system that requires the poor to be poor in the first place. As Christian socialists, we resolutely affirm the heart of the PPC today, along with many of its demands. We also resolutely reject the notion that any party of capitalists or member thereof is capable of abolishing the sin of poverty in our world. The PPC has opened an important door for us to collectively imagine what the Christian Left could look like. Should Christians utilize their Christian privilege in society to engage with those in power? Or should we practice solidarity with the wretched of the earth in our struggle to build a more just society? Didn’t St. Paul speak of a Christianity that had become the scum of the earth, the trash and garbage of the world? Presently, the PPC is trying to negotiate the tension of speaking truth to power while relying on those in power to act on the truth. Though the moral thrust of the PPC is commendable, we think that without a mass movement that is unafraid of taking the means of power and using them to create a just society, that moral thrust will be too easily ignored. Socialists know that there are material reasons that people hold power in a capitalist society–there is money on the line, money that belongs to real people with names and addresses–and that a guilty conscience is not enough to build a society for the many. The PPC is not a political organ, intentionally so. Nor does it need to be. The PPC is a bridge to political solutions. If that bridge ends at a legislative body that admits only capitalists, then it will be a bridge to nowhere. If that bridge leads to anti-capitalist movements, however, then the PPC will be a liberating campaign indeed. For this reason, it is encouraging to see so many socialist organizations, like the Democratic Socialists of America, the Party for Socialism and Liberation, unions, and others working with the PPC and vice versa to advocate for the poor, even while it is sometimes discouraging to see high-ranking Democrats and other liberal politicians attempt to identify with the campaign. As a movement with a strong presence of Christian clergy and lay people, it is our hope that the PPC will become a bridge for Christians to imagine a church that is not limited by capitalism, however tame, but is instead a true People’s Church. We hope the PPC will not stop at the condemnation of the idolatry in American governance, but condemn too the idolatry in the American political economy. Instead of repeat arrests and speeches, we hope the PPC will integrate into a sustainable people’s struggle. We remember the words of James, who said to the rich, “weep and wail for the miseries that are coming to you… The wages of the laborers who mowed your fields, which you kept back by fraud, cry out, and the cries of the harvesters have reached the ears of the Lord of hosts.” We can only imagine what James might have thought of the illusion of two vastly different parties when both aim to preserve a system of fraud. The Christian Left that is needed is one that does not reify the existing hierarchies of power or seek a center within it, but rather follows the model of Jesus and serves the growing revolutionary impulses of the masses. We pray that the Poor People’s Campaign might continue to grow into a Poor People’s Movement, and we are deeply grateful that the seeds are already planted. May the God of Liberation water them and deliver us from every evil.